The countries struck the deal on the new name in June, but Macedonia will start using it only after lawmakers in Greece also ratify the agreement. Macedonian deputies voted Friday to change the country's name to "the Republic of North Macedonia", settling a decades-long row with Greece and paving the way to NATO and European Union membership. Mickoski told reporters the move to appease Greece was made against the desires of the Macedonian people "and is an act of treason". According to to MIA, ruling party SDSM and the opposition party BESA, led by Bilal Kasami, have reached an agreement ahead of a session to vote on the amendments. Several hundred people have protested against the deal in front of parliament over the past three days. 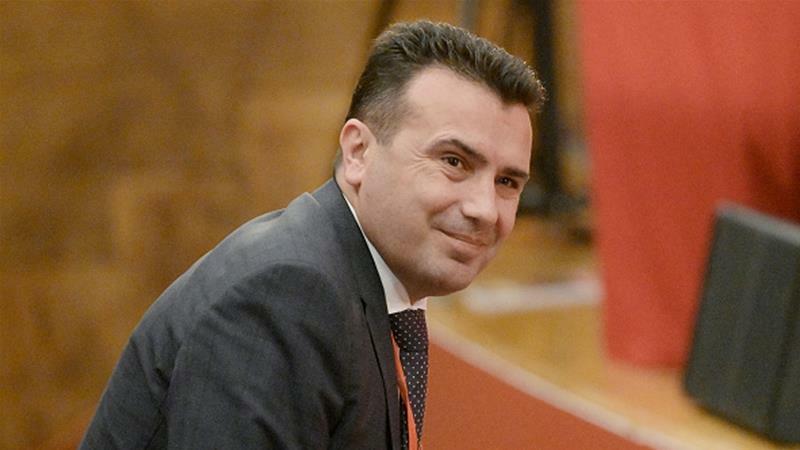 Macedonia's parliament approved the name change under a deal with Greece that will clear the way for Macedonia to join North Atlantic Treaty Organisation and potentially the European Union. Prime Minister Alexis Tsipras' office said he spoke to Zaev after Friday's vote. ANEL leader Panos Kammenos, who is Tsipras' defence minister, has threatened to pull out of the government when the deal comes to a vote in Athens.